The Santa Venera and Birkirkara local councils have finally agreed on the name of the replica of the Fleur-de-Lys arch: ‘The Wignacourt Arch known as the Fleur-de-Lys Gate’. 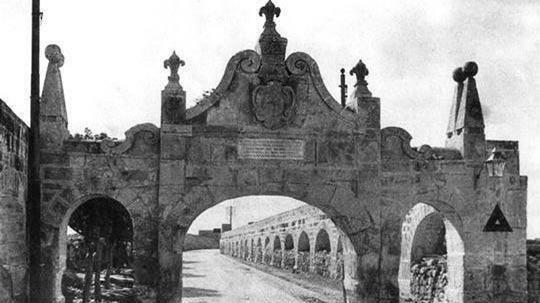 The two local councils had crossed swords after the Birkirkara local council insisted that the arch’s name incorporate the word “Fleur-de-Lys” while the Santa Venera local council wanted the name to incorporate Wignacourt, as it was originally referred to in documents of the 1940s. A montage of how the new arch will look. In court this morning, the two local councils agreed on including both words in the name, appeasing both parties. 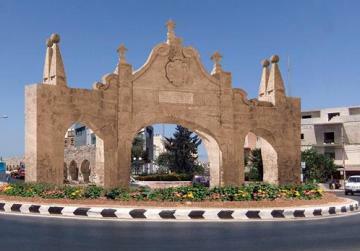 The Santa Venera local council subsequently withdrew its request for a warrant of prohibitory injunction to be issued against the Birkirkara local council regarding the issue of whether the arch fell within Santa Venera’s boundaries. Birkirkara mayor Joanne Debono Grech said that works are temporarily halted since a section of the old arch - demolished after the war - had been found. The architect is considering on the best way forward. The triumphal three-door archway was built in 1615 as a tribute to Grand Master Alof de Wignacourt. It was knocked down after a Royal Air Force breakdown lorry struck it and demolished most of its Ħamrun-facing façade in 1943 and another incident in 1944. It will cost an estimated €280,000 – €100,000 of which are being funded by Bank of Valletta, a sum which had been pledged when Mepa gave the green light for the bank to build its headquarters in the locality. The rest will be funded by the Birkirkara local council.